Assessments can be monitored by teachers to ensure they are sat under exam conditions. 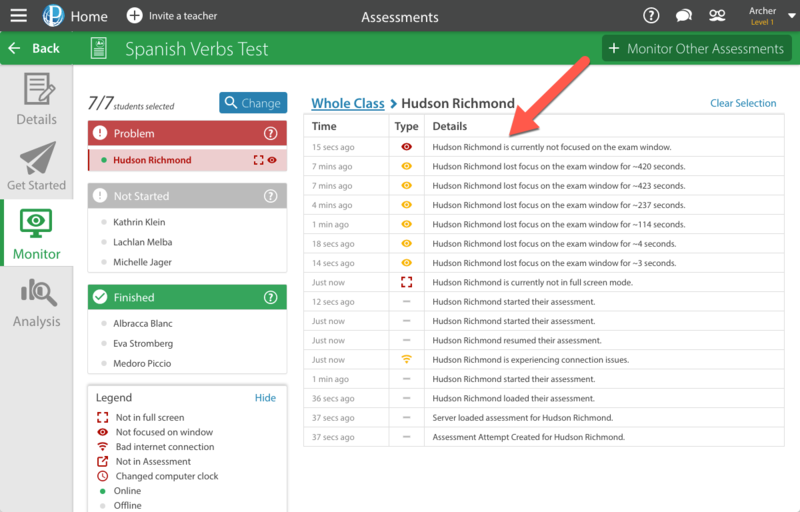 This feature can help simplify invigilation by notifying the teacher if students are off task or having connection issues. Monitored Assessment Mode complements a vigilant teacher in the exam room, but doesn't replace them. Overall responsibility for the integrity of the assessment stays with the teacher in the classroom. 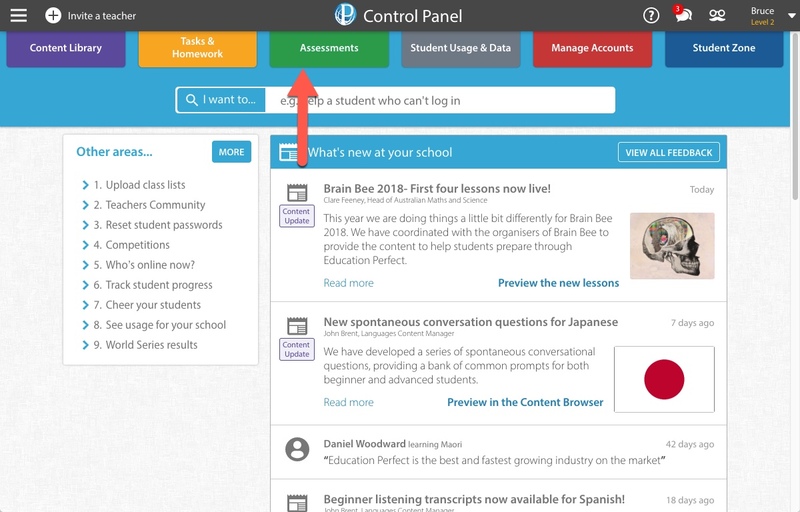 When creating your Assessment, make sure you have the Enable Full Screen Monitored Mode option selected. Our monitoring system is not available on Safari due to limitations in Safari itself. If your students are using a Mac, make sure they are using Google Chrome or Firefox instead. Students using Safari will be unable to begin the assessment if Enable Full Screen Monitored Mode is selected. Once your assessment is set up with Enable Full Screen Monitored Mode selected, mouse over the assessment in the Assessments section of your Control Panel and click on Monitor . If you haven't selected Enable Full Screen Monitored Mode when creating your assessment, the Monitor option won't be visible when you mouse over it. On the Monitor page you will be able to see any events occurring for the students sitting the assessment. The symbols for these events are included in the Legend, shown in the bottom left of the screen. 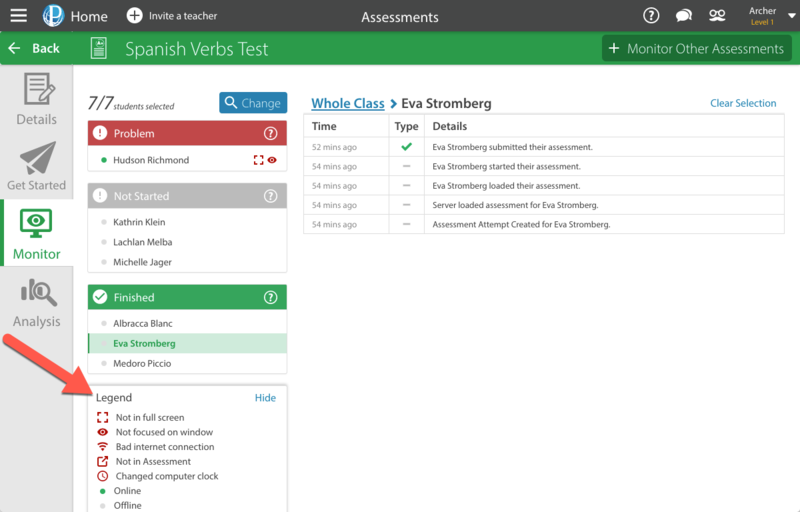 In this case we can see Eva Stromberg started and finished their assessment without issue. Problems will be displayed as a red symbol in the feed. In the image below we can see that Hudson Richmond is currently not focused on the exam window. Students using the Education Perfect app on their tablets or iPads will not be shown a warning message when they go off task.